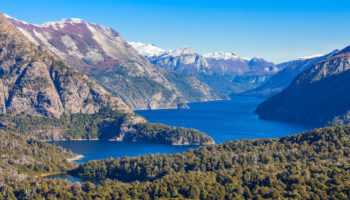 Located on the shores of Lago Nahuel Huapi, Bariloche’s beautiful setting amongst the foothills of the Andes in northern Patagonia needs to be seen to be believed, such is the natural beauty on show, and consequently, it is one of the most popular tourist destinations in Argentina. Known for the wonderful skiing, trekking, and rock climbing that it has to offer, San Carlos de Bariloche is a great place from which to explore the surrounding mountains, lakes, glaciers, and forest-coated countryside. 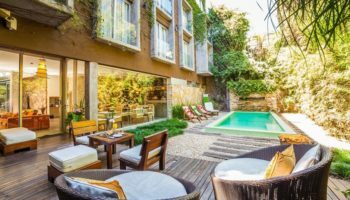 Many visitors head here for the breathtaking views, stupendous scenery, and brilliant ski facilities which make it South America’s premier ski resort. The city is very alpine in appearance due to its lovely Swiss-style chalets. 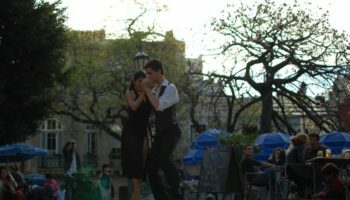 It is best represented by the delightful Centro Civico and lots of little homely chocolate shops can be found here and there. An amazing place to visit, Bariloche has a wealth of things for visitors to see and do and is well worth checking out when in Argentina. This picturesque village is located around twenty-five kilometers from Bariloche and was founded all the way back in 1895 by the first European families to settle in the region. Colonia Suiza as it is called, and looks very much like a Swiss village with its wonderful chalets and mountain setting. 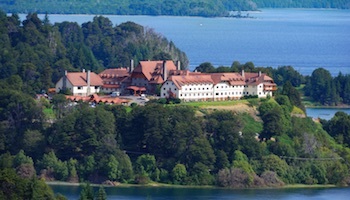 It is now a popular tourist destination with visitors to Bariloche. The best time to visit is either on Sunday or Wednesday when the village hosts an arts and crafts fair. There are also lots of nice trails which snake their way from the village into the surrounding countryside. Bariloche’s Centro Civico is a lovely place to wander around and is well worth taking the time to explore before or after heading to see the amazing scenery that can be found all around the city. A national historical monument, it is home to loads of lovely architecture and there is a distinctive alpine feel about the place. It looks and feels very reminiscent of Switzerland and Austria. 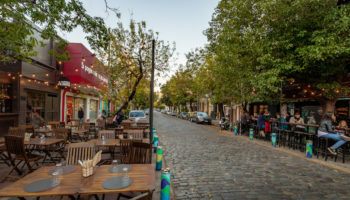 Loads of restaurants, bars, shops, and cafes can be found here and the building complex was designed all the way back in 1940 to serve as a tourist center and point of interest for visitors to Bariloche. Covering the Quetrihue Peninsula which juts into Lago Nahuel Huapi, Los Arranyanes National Park is named after the beautiful arrayan trees that are endemic to the area, and the park was actually created to protect and preserve their natural habitat. It is a delightful experience wandering amidst the twisted and gnarled trees, with some of them being remarkably over six hundred years old. Visitors can either take a boat to the park, and hike or mountain bike to where the forest begins. A peaceful place, on occasion deer, pudu, condors, and eagles can be spotted here. Lying just outside of the city center, Playa Bonita is located on the south shore of Lago Nahuel Huapi and is a lovely place to visit during the summer when you can sit back, relax, and take in the sun. Gazing out over the crystal clear waters of the lake, which stretches away endlessly before you, is mesmerising and there are loads of water sports on offer for visitors to enjoy such as kayaking, paragliding, and windsurfing. With some delightful little restaurants and cafes nearby, the pebbly beach of Playa Bonita is definitely worth checking out if you’re looking to relax after a busy trip spent sightseeing. 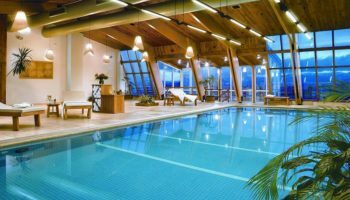 Nestled away amidst the foothills of the Andes, there is a very Alpine feel about Bariloche and this is mirrored in the wealth of specialty chocolate shops that you can find in the center of town. The most popular of the lot amongst both locals and tourists alike is Rapa Nui, where the chocolates are simply to die for. Established by an Italian immigrant and having been around for generations, Rapa Nui is a must for chocolate lovers and is also a great spot to stop by and have anything from a hot chocolate to ice-cream and a pastry in its welcoming cafe. The landscapes on show in Patagonia are breathtakingly beautiful and this wonderful route takes visitors past some of the most stunning parts on offer, with the seven different lakes being just a few of the highlights on show. 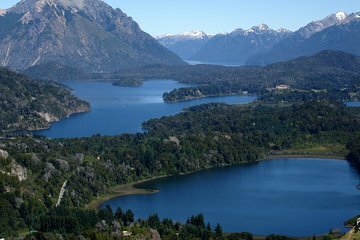 Both the Lanin and Nahuel Huapi National Parks are on the Ruta De Los Siete Lagos and the drive takes around a day or more to complete, although the scenery is so wonderful to behold that visitors will find themselves stopping time and time again to take in all of the amazing sights. Passing by beaches, woods, mountains, and more, this scenic route is the perfect way to explore the wonders of the Patagonian steppe. 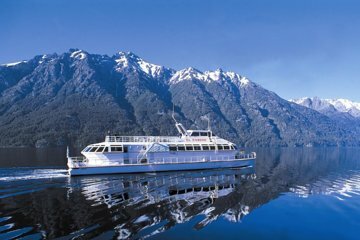 Located within Nahuel Huapi National Park, Isla Victoria is a scenic island to visit that is full of wonderful flora, fauna, and picturesque forests. Wandering along the forest-lined paths is a delightful way to spend an afternoon and the island was once inhabited by indigenous people who left behind cave paintings. 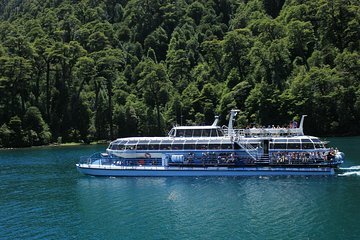 With loads of lovely scenery on show, Isla Victoria is a beautiful place to visit and lies on Lago Nahuel Huapi. It is accessible by boat, although only part of the island is open for visitors to explore. Starting out on the outskirts of the city, the sixty-five kilometer long Circuito Chico is a great way to see loads of Bariloche’s beautiful scenery in one go, and the ride will certainly be up there with the best that you have ever done. Taking you past such splendid sights as Lago Nahuel Huapi, around the wonderful landscapes of the Llao Llao Peninsula and numerous other mountains and lakes; this drive will certainly live long in the memory and there are loads of lovely stop off points and photo opportunities along the way. Visitors can either hire a car themselves or take a bus and boat excursion that will take them to all of the main sights. Located within Nahuel Huapi National Park, Cerro Otto reaches a height of 1,405 meters and the panoramas on offer from its summit are divine, as Lago Nahuel Huapi lies below it and the Andes can be seen off in the distance. Bariloche itself actually lies on the mountain’s lower slopes and visitors can reach the summit by car, on foot, or by cable car. While there are some lovely mountain biking and hiking trails on offer, as well as skiing and other outdoor activities during winter time, the main reason people visit Cerro Otto is for the incredible views of the surrounding mountains, lakes, and forests. One of the most popular trails in Bariloche, the Refugio Frey Hike is perfect for nature lovers and outdoor adventurers as you pass such stupendous scenery and at the end there is a delightful little lodge where you can take a breather or stay for the night. To reach the beginning of the trail, hikers either take a chairlift up the side of Cerro Catedral or wander along a beautiful forest path before traveling past such incredible sights as the Rucaco Valley and the spectacular Cerro Tronador, which you can see looming off in the distance. The hike usually takes around two hours to complete and there are various other trails and paths which you can take on the way. Reaching Refugio Frey is very satisfying and the views from the lodge make this hike definitely worth checking out when in Bariloche. With arguably one of the best views in the world available from its summit, Cerro Campanario is a must-see when in Bariloche and visitors will be astounded at the stunning panorama that greets their eyes. Accessible by either foot or car, visitors can also opt to take the scenic chairlift which lifts them up the mountainside and Cerro Campanario towers 1,050 meters above sea level. The views from the top are simply divine, as perfect blue lakes are dotted amongst forest-clad hills and snow-capped mountains. Visitors will never tire of gazing out over the wonderful scene. With a cafeteria on offer at the top, simply grab a bite to eat or drink and take in the view to your heart’s content. Lying around an hour outside of town, the Parque Municipal Llao Llao is full of wonderful trails and paths that wind their way through forests, meander along lakeshores, and snake their way up mountainsides. The landscapes are remarkable for the pristine and untouched feel about them and there are seven fantastic viewpoints scattered about the park for guests to find. Wandering along the well-sign-posted paths is a relaxing way to spend the day and visitors are sure to head home tired but happy with all of the amazing sights they’ve seen and there are loads of great photos to be had here. The highest mountain in the region, Cerro Tronador towers to a height of 3,470 meters and is home to eight glaciers which are captivating to explore. Located in Nahuel Huapi National Park, the extinct stratovolcano lies on the border of Argentina and Chile and is a popular tourist destination as it is not too far from Bariloche. The scenery on show is marvelous as fjords, lakes, and sweeping valleys punctuate its slopes and the areas around it. As such there is loads of great hiking to be had and many people come here for mountaineering or white-water rafting. With three distinct peaks and numerous lakes and river dotting the area; Cerro Tronador is definitely worth a visit for the wonderful nature on offer. Located inside of Nahuel Huapi National Park, the towering Cerro Catedral is home to Bariloche and South America’s most popular and largest ski resort. One of the main draws to the area is the fantastic skiing that can be had, and from the center of Bariloche it takes no time at all to take to the slopes. Covering a huge area, the ski resort has loads of pistes and runs dotted about the scenic mountainside and the views of the surrounding area are simply riveting for their beauty. With snow blanketing the mountains and trees, the bright blue lakes stand out all the more delightfully against the winter world around them. Meaning ‘Mount Cathedral’ in English, Cerro Catedral is so named because its peaks are almost church-like in their appearance, and both locals and tourists alike flock here when the winter season begins. Breathtakingly beautiful, Nahuel Huapi National Park is simply a must-see when in Bariloche and it is one of the main attractions that the city has to offer. The scenery on show is stunning to behold as snow-capped mountains lie next to perfect blue lakes and their forest-coated shores. Exploring this natural paradise is an unforgettable experience. 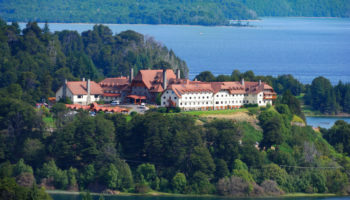 With loads of outdoor activities on offer, visitors can hike along the paths that weave their way through the forests, go kayaking on Lago Nahuel Huapi, rock-climbing on the mountainside, or simply relax and take in the unbelievable views from atop of the mountains that dot the area. 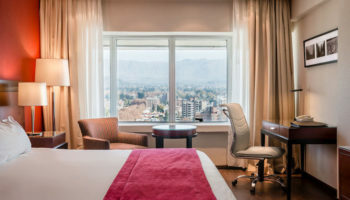 The landscapes are simply divine and the rivers, waterfalls, and glaciers that clad the slopes of the Andes only make it all the more beautiful to gaze upon. 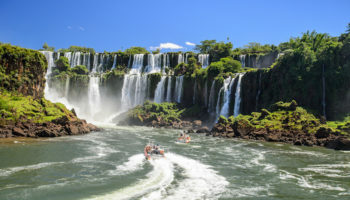 The oldest national park in Argentina, Nahuel Huapi is a joy to explore and visitors invariably come away impressed and astounded at all of the natural beauty on show.